Snowball Edge is Amazon's answer to customers' complaints about the lack of support for on-premise data management use cases where the cloud networks are limited by the data bandwidth and geography. Snowball Edge is an update to the popular Snowball storage container program. It's Amazon's answer to customers' complaints about the lack of support for on-premise data management use cases wherein the cloud networks are limited by the data bandwidths and geographical issues. A notable vertical is within the industrial sector wherein IoT generates huge piles of data. While customers want to analyze this massive set of data using the AWS capacity, the public cloud data connections limit the customers to a certain level. To answer this challenge, Amazon created the Snowball Storage Container program, which allows customers to move data from the on-premise location to the AWS cloud location via a physical appliance. The Snowball program came with a storage capacity of 50TB of data. 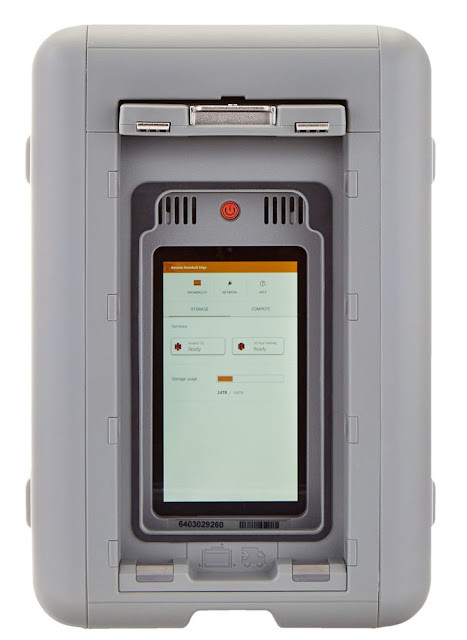 The new Snowball Edge comes with 100TB of storage. What is Amazon Snowball Edge? Snowball Edge is a physical data storage appliance that enables businesses to move large volumes of data in and out of AWS cloud. You can store unlimited data using multiple appliances. The tool can be easily integrated with the existing infrastructure and applications using standard storage interfaces. By creating a cluster, you can use snowball as a temporary storage unit even when the infrastructure is not connected to the cloud. It comes with AWS Greengrass for executing Python-based AWS Lambda functions. Using Amazon Lambda, you can analyze the data locally as well. It supports language-agnostic REST interface. NFS V3 and V4.1 are the supported file protocols, and Amazon handles the data transfers. Snowball Edge can also be used to support temporary storage workloads at a remote location as well. This server-like appliance makes it easy to collect large volumes of IoT data to the cloud. Businesses can transfer small volumes of data over the network and use the Snowball Edge to physically move large volumes of data to the cloud. Right now, Snowball Edge is available only in selected regions and locations. When you create a job in the AWS Management Console, the location is checked and if the service is available in that region, the Snowball Edge is automatically shipped. When you're ready, simply ship it to the correct AWS facility via the E Ink shipping label. Is Snowball Edge Good for Business? As the name suggests, Snowball Edge gives an edge to organizations that are looking to empower data center solutions. Many companies worry about data transfers when transitioning to the cloud. After all, moving that data back to the infrastructure can be an expensive and time-consuming process. However, Snowball Edge makes it easy to inexpensively move large volumes of data to and from the AWS cloud. How Do You Manage Snowball Edge? Organizations can receive a Snowball Edge device when a job is created in the AWS management console. As it has the S3 buckets, Lambda code and clustering configuration pre-installed, you can simply attach it to the network using an IP address manually or through DHCP. When the device is full and ready to be shipped, the E Ink shipping label is updated and the device is returned to the corresponding AWS facility. You can easily track the job using the Amazon Simple Notification Service via SMS or text or from the console. What Does Snowball Edge Do? 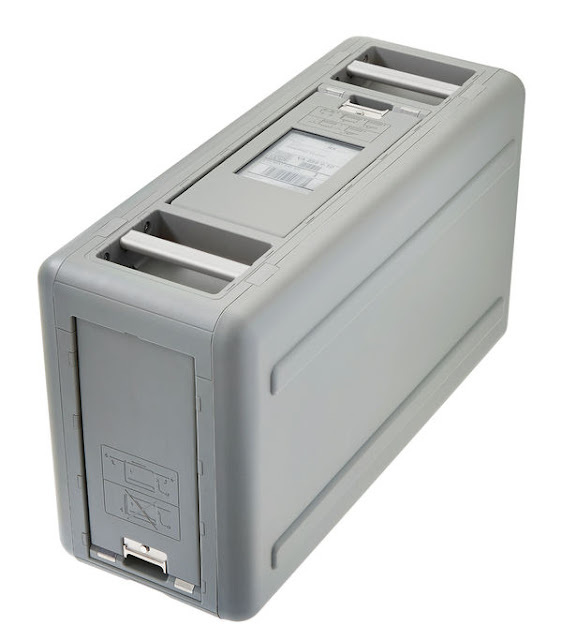 The Snowball Edge appliance can be used as a multi-purpose device. You can use it to transport large data sets to the cloud or use it as a stand-alone tool to store data at a remote location. You don't have to change the application logic, just redirect storage to this device. Multiple devices can form a cluster for increased durability. Using Amazon Lambda, you can store and process data for analytical purposes. Data is not processed locally, so organizations can cut down on storage infrastructure. How Much Does Snowball Edge Cost? Snowball Edge is only available as a pay-per-job basis. You cannot purchase the appliance. The service fee is $300 per job and you have 10 days to complete the data transfer. After the 10-day period, users are charged $30 per appliance per day. Be it storing data at a remote onsite location, working with embedded applications or ingesting data from multiple IoT devices, Snowball Edge is an inexpensive option for businesses to move large data sets in and out of AWS cloud. How Secure is Snowball Edge? While the Snowball Edge program is an amazing option for businesses, there are two important concerns. First, large sets of organization data is being shipped. Secondly, the entire data is available at one place raising security issues. However, data with Snowball Edge is secure as it is secured with 256-bit encryption. The AWS Key Management Service (KMS) manages the encryption keys and doesn't store the information on the device. The appliances are made of tamper-resistant enclosures. The entire data on the snowball device is erased as soon as the data is transferred to the AWS platform.